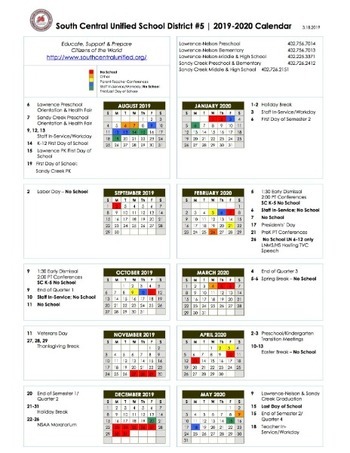 NO SCHOOL ON FRI., APR. 19TH & MON., APR. 22ND! LAST DAY OF SCHOOL FOR THE YEAR: MON., MAY 13TH! This past week the Lawrence/Nelson chapter of FBLA traveled to Omaha for the 57th annual State Leadership Conference. Twelve students met the qualifications and eight attended competing in 16 different events. 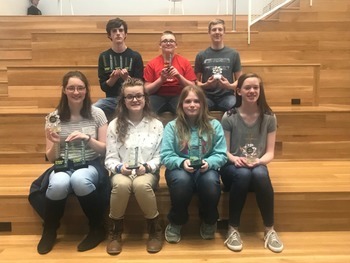 Those in attendance were: (12) Kaylee Kathman & Brandi Mazour, (11) Hallie Epley, Allison Miller, Joanie Schultz, (10) McKenzie Ostdiek, (9) Emma Epley & Elsa Jorgensen. Hard work throughout the year earned the chapter 5 ribbons including March of Dimes, Step Up 2 Tech, Feed Nebraska, Foundation Donor and Sweepstakes. 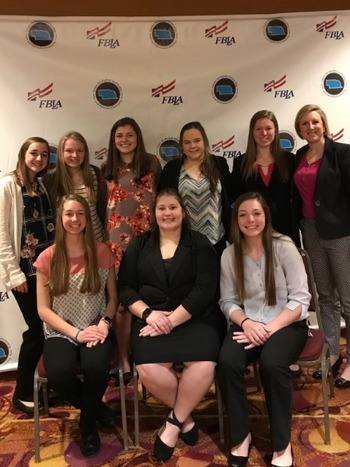 The chapter earned reserved seating for the awards ceremony for donating $500 to the FBLA Foundation and was recognized as a Foundation Donor VIP. Money was raised by hosting a Turkey Trot 5k run in November 2018. The Sweepstakes Award was received for completing chapter reports and many other FBLA activities. 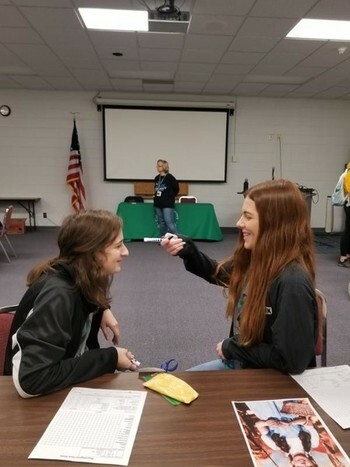 Hallie Epley earned 8th place in Spreadsheet Applications while Kaylee Kathman earned honorable mention in Healthcare Administration, a test which 355 other students also tested. The chapter has completed many community service projects throughout the year including Community Care Baskets and also served at the Matt Talbot Kitchen in Lincoln. They look forward to continuing these projects in the future. 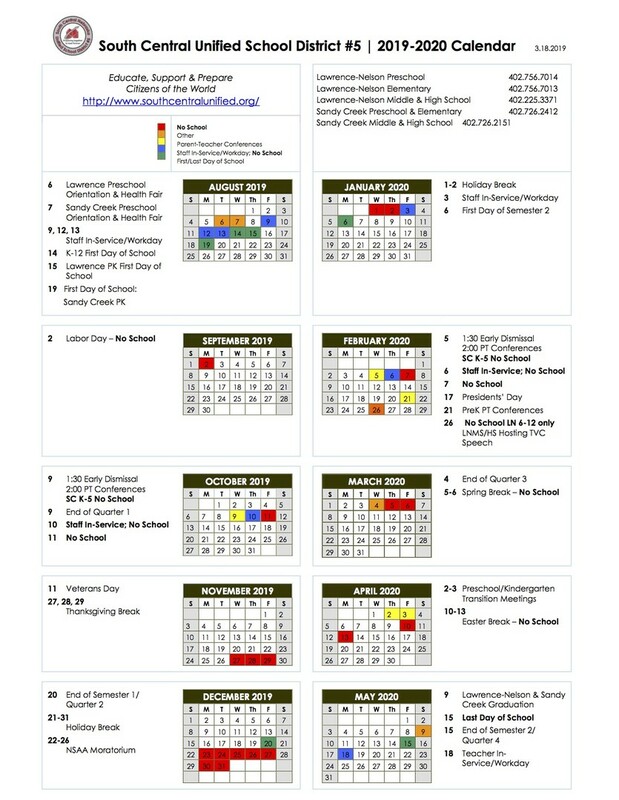 The 2019-2020 calendar has been approved, and is already entered on the LN Google Calendar, as well as the extra-curricular activities known for the upcoming school year. Please be aware that the calendar is subject to change, but the plan is attached! The Lawrence/Nelson Girls' Track Team won the Kenesaw Invite on Saturday, April 6th, while the boys' team took home the Runner-Up title. Results to the track meets and schedules for upcoming meets are posted on the school website HERE. Kaleb Whitmore competed in and WON the Individual Paper Category with his paper over Dr. Martin Luther King Jr. By winning this he gets to go on and represent Sandy Creek and Nebraska at the National Competition at Maryland University outside of Washington D.C. in June. 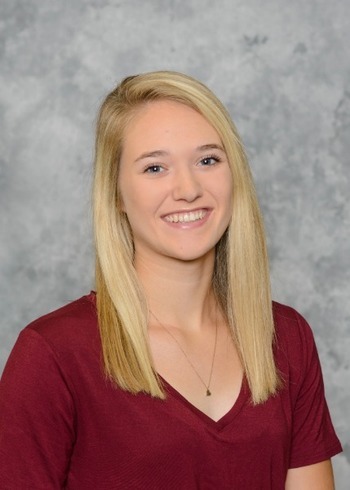 Junior Karigan Drudik made All Tribland Third Team. Drudik was ranked 9th in the All Tribland area in steals with 63 for the season, averaging 3 per game. Receiving Honorable Mention were Taylor Harrington, Hallie Epley, and RaeLeigh Menke. ​​​​ Menke was ranked 7th in blocks with 37, averaging 1.5 blocks per game. Drudik, Harrington, and Epley are all juniors and Menke is a senior at Lawrence/Nelson. Read more in the Hastings Tribune linked HERE. 5:00 PM: Professional pictures by Photography By Brooke Bauer--This is closed to the public...Parents can take pictures following the grand march. 7:15 PM: Banquet starts, serving a burger, fries, drink, and a malt. 12:30 – 3:00 AM: Post Prom activities in the big gym - PERMISSION FORM DUE TO MRS. MCCARTNEY BY MONDAY, APRIL 8TH. School will start for our K-12 students on Wednesday, August 14th, 2019, with staff returning on Friday, August 9th. Sandy Creek Preschool will begin on Monday, August 19th, 2019. If you have PE shoes that you would be willing to donate to the school, please leave them at the elementary or contact Cathy Biltoft (cbiltoft@southcentralusd.us) or Alex Kucera (akathman@southcentralusd.us). Students are reminded that PE shoes do not need to be new, but just clear of rocks in the soles of the shoes! NEW TO THE LIST THIS YEAR: Headphones for our students. Please ensure that the headphones fit comfortably OVER your child's ears. These seem to hold up much longer than the in-ear headphones that we have tried in the past! Please note this supply list only applies to students taking these classes. All students in all classes will need writing paper/notebooks for other classes, pens, pencils, and then are asked to use their personal preference as far as other needs (such as highlighters, calculators, book covers, trapper keepers or binders, etc.) and items needed for PE classes (gym shoes, clothes, showering items) if they have PE. ACTIONS Day is a scholastic competition that students attend and take a variety of tests in different academic areas. 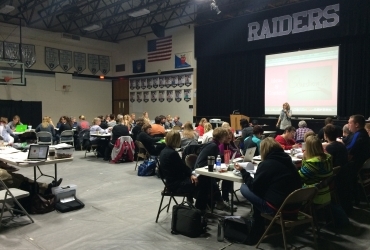 Students are nominated for tests by their teachers and compete against students from all over the area. South Central #5 students from Lawrence-Nelson and Sandy Creek participated in the competition. There were around 680 studets who participated in Actions Day with 13-14 categories in three test sessions. The Lawrence/Nelson students will be once again hosting a Community Service Clean Up Day on Tuesday, May 7th, in the communities of Lawrence and Nelson. If you know of projects that need to be completed in your community, please fill out the form linked HERE, or contact Student Council Sponsor Alayna Ham at (402) 225-3371 in Nelson or by emailing her at aoconnell@southcentralusd.us. Help us spread the word by distributing the flyer for this event that is linked HERE. SCNUSD #5 offers healthy meals every day for your children! Breakfast costs $1.25, and lunch costs $2.50. Children may also qualify for free/reduced lunches. Reduced price lunches are $0.30 for breakfast and $0.40 for lunch. 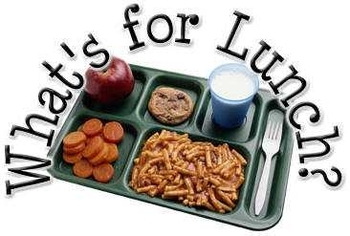 If your child(ren) qualified for free or reduced-price meals at the end of last school year, you must submit a new application for this school year in order to avoid an interruption in meal benefits. And, as a reminder, these forms can be submitted at any time throughout the school year should your income change. You only need to . . .
Current Positions Available The South Central Unified School District is accepting applications for the following positions. Required forms can be found by clicking on the links listed here. Both the certified and classified staff positions require a background form. Please open the appropriate forms and fill out online OR download the forms, and open them with Adobe Reader or Preview to fill in the application. The forms needed for each job are listed next to the corresponding opening. All open positions require TWO forms. Certified Application OR Classified Application One Source Background Check & Summary Position Site Forms Required for Application Background Status Administrative Assistant Lawrence/Nelson (in Lawrence) Classified Application One Source Background Check & Summary FILLED 9-12 Math Sandy Creek Certified Application One Source Background Check & Summary FILLED . . . 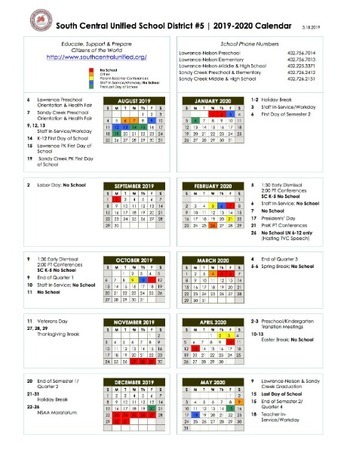 The school lunch menus are now located under the Students & Parents --> Food Service Tab!